Geneva - The Euro-Mediterranean Human Rights Monitor issued a report today on measures taken by Saudi Arabia following its recent crisis with Qatar, which hinders the travel of Qataris to perform Hajj and Umrah in Saudi Arabia. These unjust measures violate the right to freedom of worship for Qatari nationals and constitute a form of unlawful discrimination, warns Euro-Med. Despite the importance of religious sites in Saudi Arabia to about 1.6 billion Muslims who represent 23% of the world's population, Saudi Arabia has consistently claimed to keep worship rights aside from political ends, however, reality has proven otherwise. The recent crisis between Qatar and some Arab countries, including Saudi Arabia, is a clear example of the violation of this right, as well as others, which Euro-Med has documented over the past months. Although Saudi authorities did not make a clear decision to prevent Qatari pilgrims from performing Hajj, they have taken sufficient measures to restrict their movement and freedom. Saudi Arabia refused to communicate with the Ministry of Awqaf in Qatar as to receive lists of pilgrims and complete procedures to facilitate their rituals and provide guarantees for their safety. 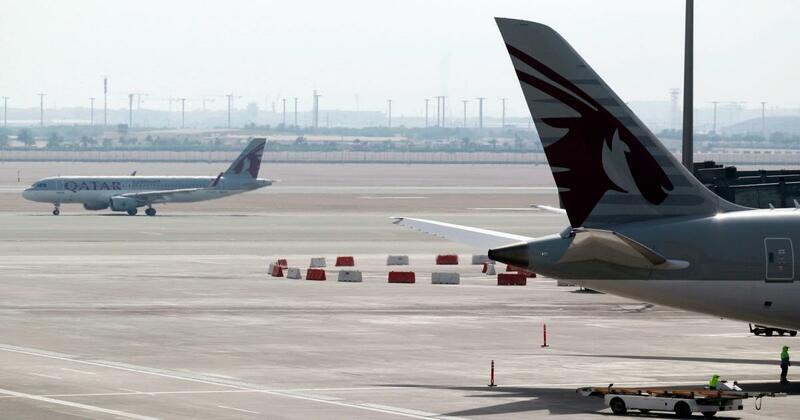 In addition, Saudi Arabia has continued to close land and air routes to Qataris until other pilgrims from all countries of the world have arrived. Only then did Saudi Arabia announce the opening of Saudi airlines to Qatari pilgrims and set the limit for transporting Qatari pilgrims through mandatory transit stations, where direct flights to Saudi Arabia cannot be made from Doha. In an interview with the Euro-Med team conducted with Abdullah al-Kaabi, director of the Legal Department of the National Human Rights Committee in Qatar, Al-Kaabi said, "There were unexpected deliberate obstacles faced by Qataris who managed to go to Hajj. For instance, they had to wait long hours to obtain Hajj permits." Al-Kaabi also pointed out that his team had met with representatives of several Hajj and Umrah companies in Qatar. According to testimonies, Qatari citizens intending to perform Hajj in Saudi Arabia reported many obstacles that prevented them from completing their journey. According to the National Human Rights Committee, Saudi authorities have taken a series of arbitrary measures against the Qatari people who were present in Mecca to perform Umrah last Ramadan and demanded that they leave Saudi Arabia and forced them to cancel their reservations in hotels. Currently, the Saudi authorities allow Qataris wishing to perform Umrah to enter their territory, but only for one day and return immediately from the same entry route. This policy was not the outcome of the Gulf crisis, although it appeared more clearly after the crisis began it. Saudi Arabia has already been following this policy from time to time and against different countries and groups, apparently for different political ends. Among these countries is Iran, which is also affected during the pilgrimage because of the political differences between the two countries. For Syrian citizens to perform Hajj, Saudi Arabia requires that they contact with the Opposition's Syrian High Committee of Hajj, including those living in areas under regime control. In addition, Syrian Palestinians residing in Arab countries have been prevented from pilgrimage as well as Houthis from Yemen. The Euro-Med Monitor also cited a report by the French newspaper Le Monde, which pointed to Saudi Arabia's use of pilgrims' quotas and a financial aid paper to pressure African countries with a Muslim majority, including Nigeria, to stand against Qatar in its recent crisis. Saudi Arabia also sometimes forbids opponents from obtaining a visa to enter Saudi Arabia even for Hajj or Umrah. It has, for example, prevented the famous Kuwaiti preacher Tariq al-Suwaidan from entering its territory and performing Umrah or Hajj in 2013 because of his position on the military coup in Egypt. Saudia Arabia has also prevented the Algerian poet Mohamed Jarboa from performing Hajj in 2017 because of his book, "Hajj is to God, not to Saud family," and then allowed him another time as an exception. Officials responsible for places of worship in Saudi Arabia politicize some places and religious rituals indirectly by giving them names of Saudi kings, while preachers give sermons during which they pray for the Saudi king, his son (Crown Prince) and the royal family. These practices are in conflict with the Charter of the United Nations, which emphasized respect for human rights and fundamental freedoms for all without distinction, states Euro-Med, referring to Article 18 of the International Covenant on Civil and Political Rights, on the right to freedom of religion or belief. There is no security need for such restrictions and deprivation of Hajj or Umrah, whether to political opponents or citizens of a country because of the political position of this country. Imposing restrictions based on political considerations is a violation of article 1 of the 1981 Declaration on the Elimination of All Forms of Intolerance and of Discrimination Based on Religion or Belief. A delegation from the Euro-Med Monitor visited the headquarters of the National Human Rights Committee in Qatar on November 14, where they met the Director of the Legal Department of the Commission and the team was briefed on some of the Committee's findings in this regard. Moreover, the two parties discussed the violations that have affected civilians as a result of the crisis between Qatar and other Gulf states, including Saudi Arabia. The Committee informed the Monitor’s team of the complaints it had collected from Qatari citizens. The Committee received 161 complaints relating to Saudi Arabia blocking Qataris or residents in Qatar from practicing their religion. Accordingly, Euro-Mediterranean Human Rights Monitor calls on the Saudi authorities to investigate the use of religious rituals on their territory for political purposes, to end these practices immediately and to bring those responsible to justice. Euro-Med Monitor also calls on the UN Human Rights Council to follow up on this issue, stressing that international organizations and the United Nations Special Rapporteur on freedom of religion and belief take all necessary measures to enable Qatari citizens and others to exercise their religious rites as guaranteed by international laws and conventions, and to prohibit the exploitation of fundamental rights and religious rights for political pressure.